NIRBHAY RASAYAN is an ISO certified & REACH registered company. In 2010 the company was taken over and led by a Mr. Manish Kothari as a Chairman & Managing Director. Since acquisition there is constant expansion, innovation & growth in terms of Quality, Capacity, Product range & Sales turnover. The Company has also established in the business of Inorganic Chromes & Anticorrosive Pigments. NIRBHAY RASAYAN is one of the leading manufacturer & supplier of Organic Pigments under the brand name NIRBHAFAST and in Inorganic Lead Chrome & Anticorrosive Pigments under the brand name VCHROME. The products are marketed to leading INK, PAINT & COATING, PLASTIC & RUBBER MASTER BATCH, DISPERSION AND DETERGENT manufacturers in India & all over the globe. 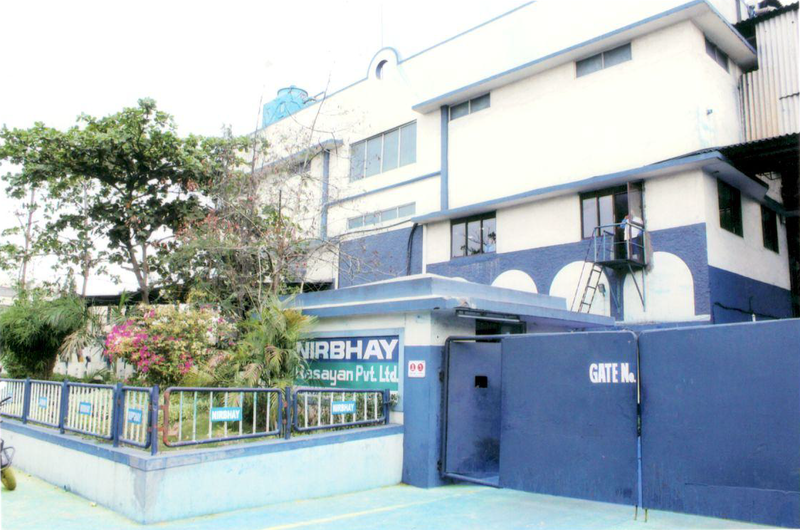 NIRBHAY RASAYAN believes in business with ethics and strives to create value for their customers compounded by an integrated management system & technical support to provide best solution and 100% customer satisfaction. Today it is one of the quality producer of complete range of Phthalocyanine Blue Crude, Organic, Inorganic & Anticorrosive Pigments in India & has emerged as trusted world class brand. To emerge as a leader in manufacturing & exporting of Pigments. Focus at on offering superior quality products at the most competitive price by technology upgradation and utilizing the expanded production capacity.